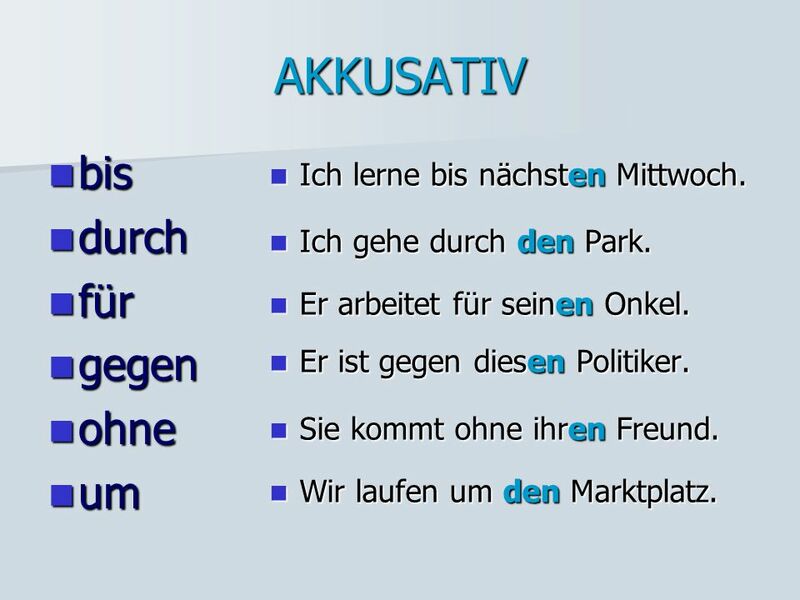 nouns, pronouns, verbs, adjectives etc. 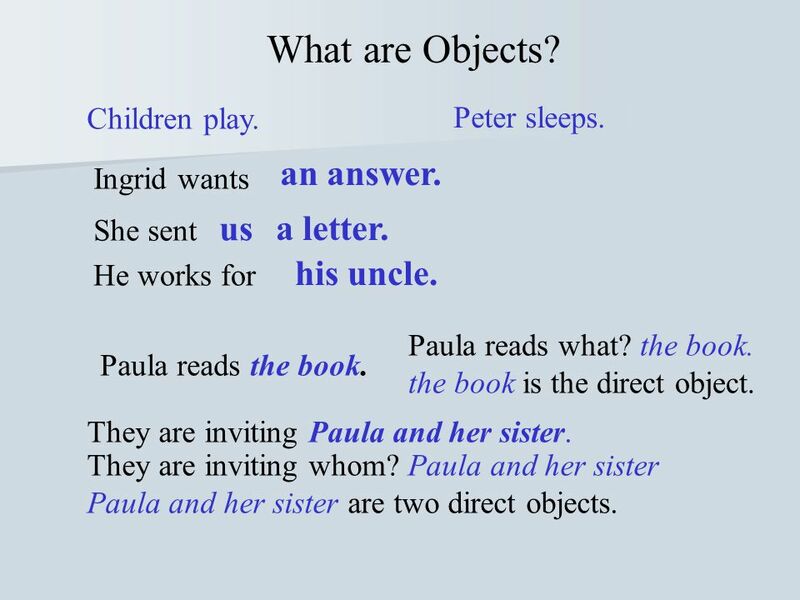 their function in a sentence: subject , predicate , object etc. 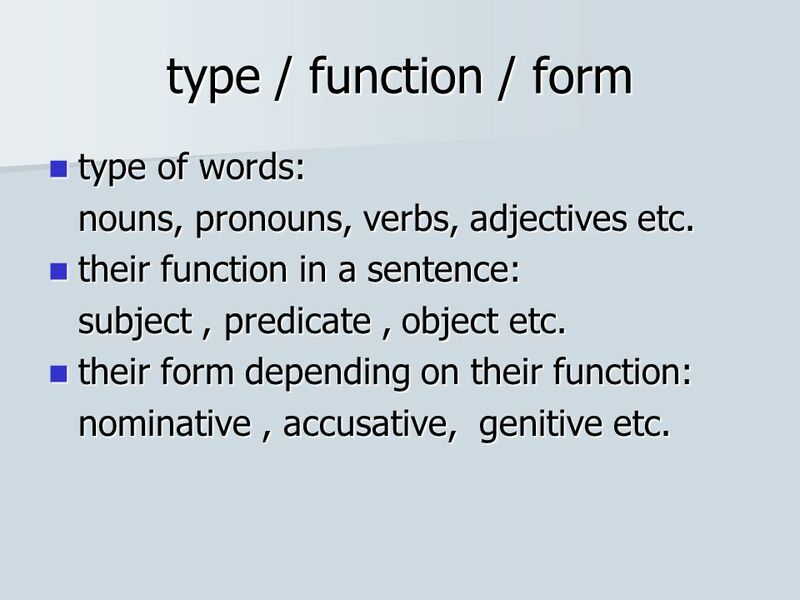 their form depending on their function: nominative , accusative, genitive etc. 2 What are Objects? us a letter. his uncle. Children play. Peter sleeps. an answer. Ingrid wants She sent us a letter. his uncle. He works for Paula reads what? the book. the book is the direct object. Paula reads the book. They are inviting Paula and her sister. They are inviting whom? Paula and her sister Paula and her sister are two direct objects. 3 AKKUSATIV Peter brings his mother home. His mother brings Peter home. He brings her home. She brings him home. Er bringt sie nach Hause. Sie bringt ihn nach Hause. 4 AKKUSATIV bis durch für gegen ohne um Ich lerne bis nächsten Mittwoch. Ich gehe durch den Park. Er arbeitet für seinen Onkel. Er ist gegen diesen Politiker. Sie kommt ohne ihren Freund. Wir laufen um den Marktplatz. 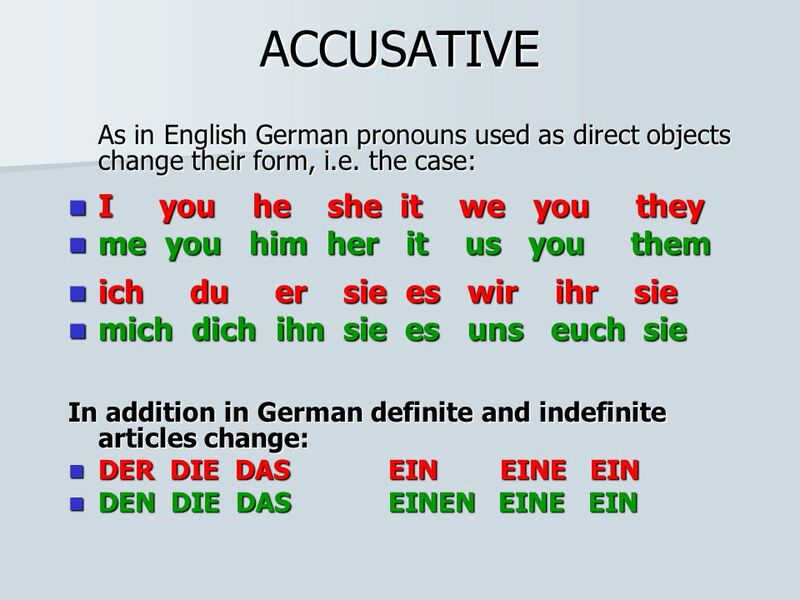 Grammatical cases indicate how certain words function in a sentence. 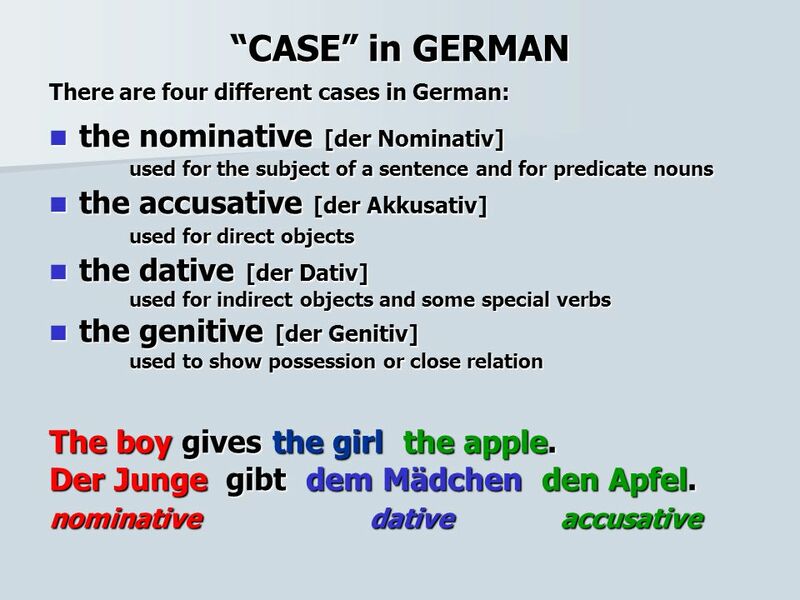 The case of a word is shown by the particular form of the word itself or by the form of the words that accompany it. 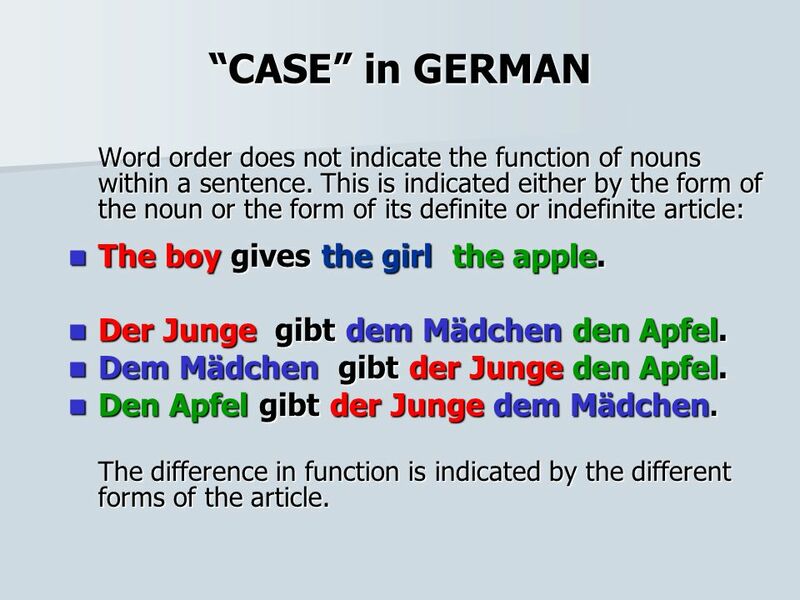 In German it affects more parts of the speech than in English: in English: pronouns, certain interrogatives in German: nouns, pronouns, adjectives, articles In English the function of a noun in a sentence and therefore its meaning is defined by the order of the word in the sentence: The girl gives the boy the apple. The boy gives the girl the apple. 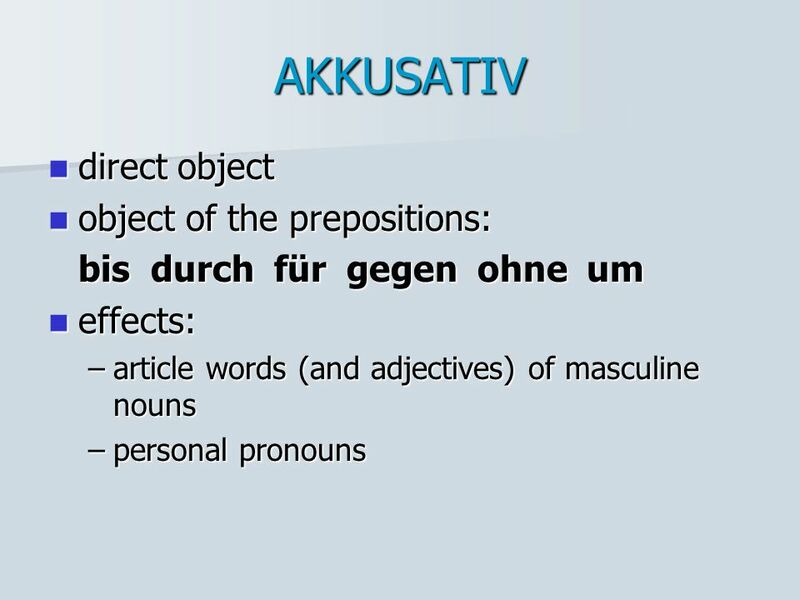 The function of pronouns in English is indicated not only by the word order but also by the form, i.e. 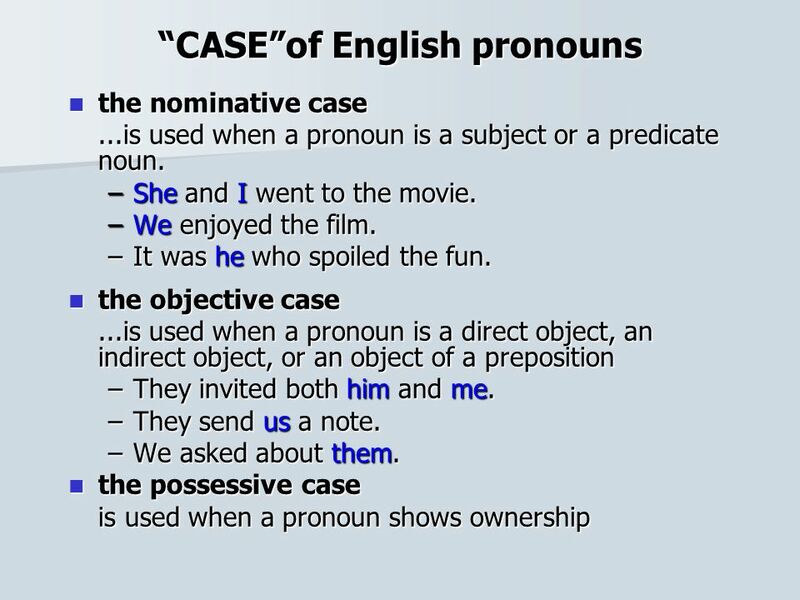 the case of the pronoun: I know them. They know me. He sees her. She sees him. 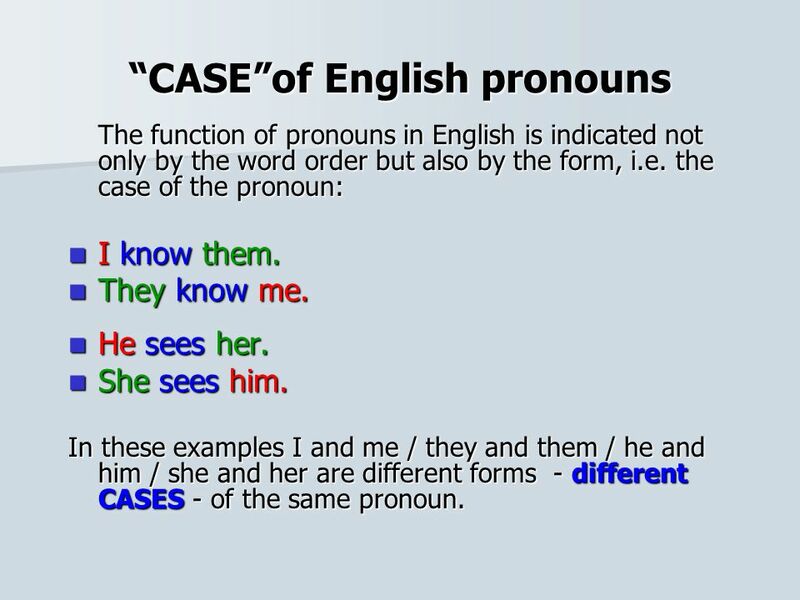 In these examples I and me / they and them / he and him / she and her are different forms - different CASES - of the same pronoun. 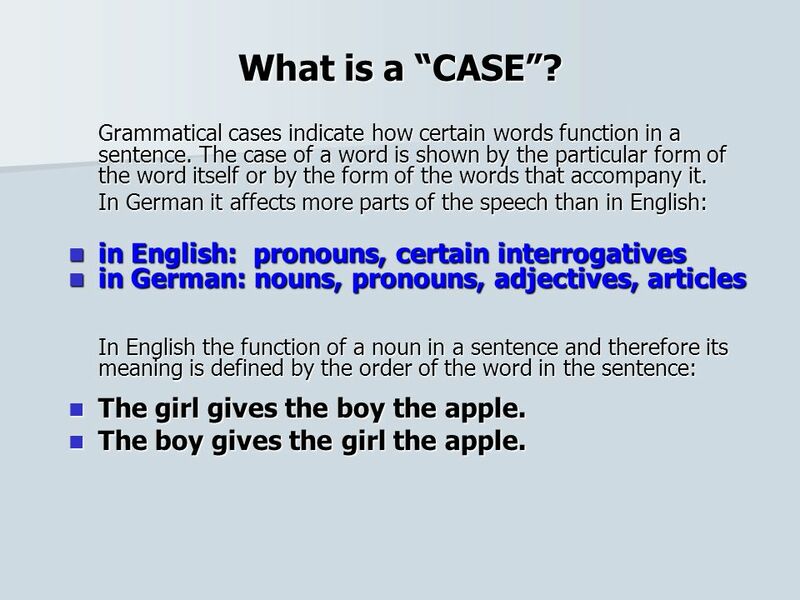 9 “CASE” in GERMAN The boy gives the girl the apple. 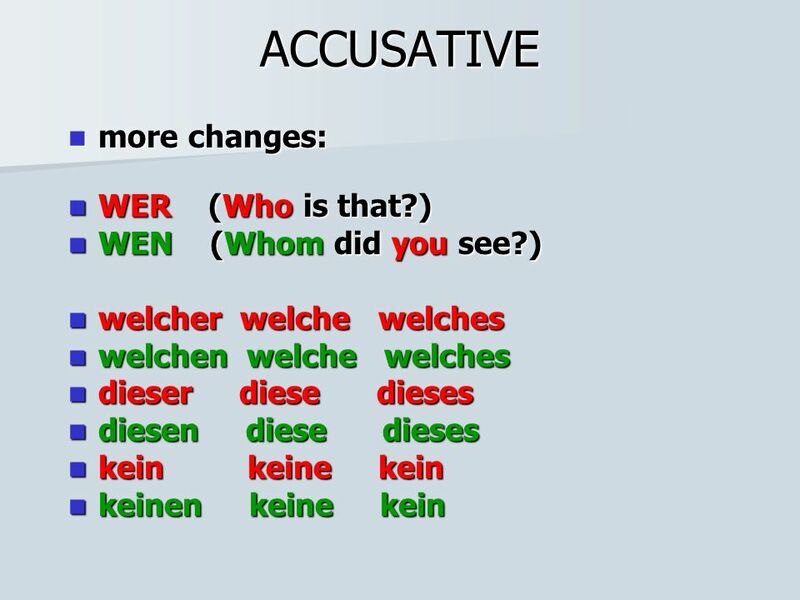 Word order does not indicate the function of nouns within a sentence. This is indicated either by the form of the noun or the form of its definite or indefinite article: The boy gives the girl the apple. Der Junge gibt dem Mädchen den Apfel. Dem Mädchen gibt der Junge den Apfel. Den Apfel gibt der Junge dem Mädchen. The difference in function is indicated by the different forms of the article. Herunterladen ppt "type / function / form type of words:"